This modern introduction to infinitesimal methods is a translation of the book Métodos Infinitesimais de Análise Matemática by José Sousa Pinto of the University of Aveiro, Portugal and is aimed at final year or graduate level students with a background in calculus. 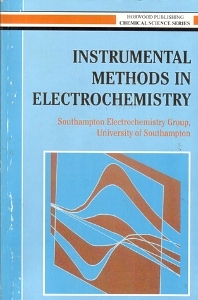 Surveying modern reformulations of the infinitesimal concept with a thoroughly comprehensive exposition of important and influential hyperreal numbers, the book includes previously unpublished material on the development of hyperfinite theory of Schwartz distributions and its application to generalised Fourier transforms and harmonic analysis. This translation by Roy Hoskins was also greatly assisted by the comments and constructive criticism of Professor Victor Neves, of the University of Aveiro. Calculus and infinitesimals; Standard infinitesimal methods; Introduction to non-standard analysis; Applications to elementary real analysis; Further developments; Foundations of nonstandard analysis; Hyperfinite analysis; Hyperfinite representation of distributions; Hyperfinite fourier analysis; Appendix A Evolution of the concept of function; Appendix B The theorem of L?s; References.